NAVEX Global supports the ethics and compliance programs of more than 8,000 organizations worldwide. Part of its services includes a blog for its clients located at blog.navexglobal.com. The NAVEX blog is well designed with subtle but sleek graphics and an easily navigable layout. The site is simple but sophisticated. 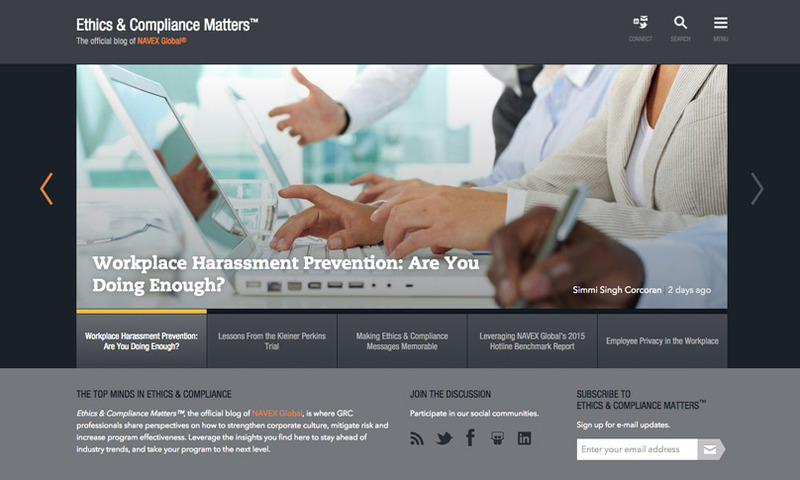 Covering topics such as workplace harassment and bribery and corruption, the content, which is created for ethics and compliance officers around the world, is solid and timely. The articles are engaging as well as informative.